Attention all Mom’s! What if I told you there was an at home anti-aging treatment to help rejuvenate skin, prevent hair loss & help in regrowth, heal skin conditions, wounds, and even aid in pain relief? I know what you are thinking… No more babysitters? No more hundreds of dollars spent at overpriced busy spas? This can’t be! It’s true, it is real, and you can purchase it today! A red light therapy device is great if you’re a woman who wants 100% natural, non-abrasive, non-invasive, chemical and drug free, painless spa time… without leaving your home!! What are the Red Light Therapy Benefits? LED light therapy is one of the latest anti-aging treatments available today. 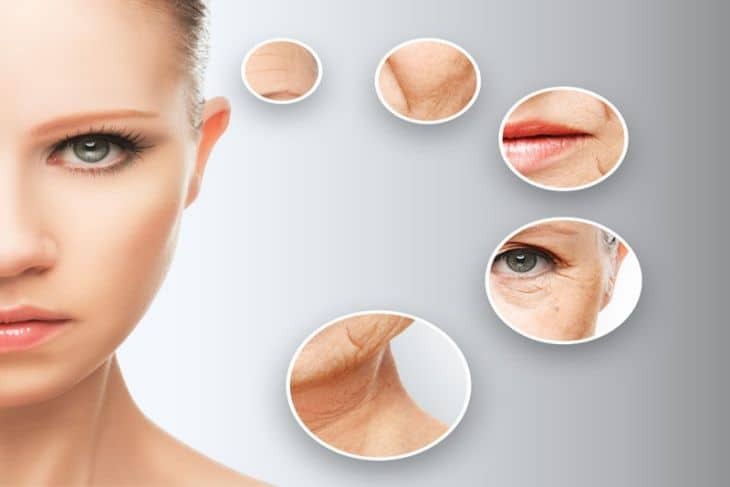 As we age our body produce less collagen which results in fine lines and wrinkles. Led light therapy makes use of low level led lights (not to confused with laser skin tightening) to stimulate collagen production, thereby rejuvenating and healing your skin cells. The led light therapy actually works and has been scientifically proven to be effective. In fact, it was NASA who used led lights to grow plants in space accidentally found out that led light accelerates the growth of human skin cells too by 150-200% resulting in rapid change in appearance. It is painless, non-invasive, requires no downtime and can be even done at your home. Research has shown that led lights stimulate cell growth and heal wounds. They can penetrate the skin and trigger different reactions under your skin that aid the healing and rejuvenating processes. Blue led light is used to kill acne causing bacteria. Red led lights have more wavelength and can penetrate deep into your skin to stimulate collagen and elastin production resulting in a firmer younger looking skin. Red light also increases blood circulation and cause the release of ATP that fights anti-aging signs like wrinkles under eyes. Looking for a red light therapy device to suit your skin and body needs can be taxing. As effortless as it sounds, finding the device that is right for you is more than putting something in your cart and purchasing it. It is necessary to do research so that you can choose the best at home red light therapy device for you. What brand would you want? What about price? What works best for you skin type? 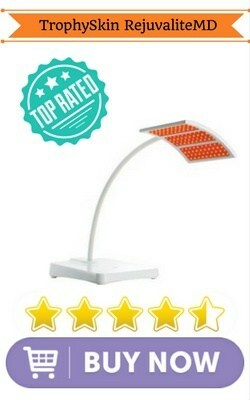 Find the best one for your needs from our 5 best red light therapy device reviews! Read on. Trophy Skin RejuvaliteMD Anti-Aging Light Therapy System is one the best at home red light therapy devices that stands 16 inches tall and features a custom led panel. It looks like a desk lamp with a solid base and flexible arm. The led panel consists of 120 led bulbs split evenly between Red (660nm), Yellow (590nm), Amber (630nm) and Infrared (880nm) wavelengths designed to penetrate the skin at different levels to stimulate collagen, elastin and fibroblasts. This state of the art device also uses infrared light wavelengths to penetrate the skin helping to activate the creation of elastin, collagen production, improve skin tone, and reduce inflammation. Quite possibly the best feature of the Trophy Skin Light Therapy System is that it is designed to be used “hands free” while laying down, sitting up or any comfortable position! Clean your skin and position yourself so that the panel is within 6 inches from your skin. It is recommended that you treat your skin at least three times a week for 5 minutes per treatment to see noticeable changes. You can use it daily for the first 4 to 6 weeks till noticeable results and reduce the frequency later on for maintaining the glow. This breakthrough anti-aging device combines all the benefits of a dermatologist office but with the comfort and convenience of being at home. This FDA approved device includes a charger and goggles to protect the eyes during use. See it in action below. The Norlanya red light therapy machine is the cheapest on the list, which is always a bonus! This hand held device is cordless and rechargeable (a full charge lasts 2 hours working), making it easy to use whenever you want. Norlanya red light therapy offers many safety features such as, a red light that remits only when treatment head touches skin, it is not able to turn on when charging, and has a built in timer that turns off automatically after 10 minutes. It uses 660nm red color led and has two working modes: continuous and pulse modes. The Norlanya is effective on anti-aging, removing lines and fine wrinkles, lift sagging skin, improves aging skin, improves skin texture and reduces size of pores, and helps to brighten skin. Not only can you use it on your face, but on your chest, arms, or any other problem areas! Please note this is NOT a pain therapy device and there is no heating or vibration during facial therapy. When used correctly, see visible skin improvement after 8 weeks when used 10-20 minutes daily! The device takes 3-4 hours to fully charge and there is a charge indicator as well. This device has accessible touch control to emit light to protect eyes and includes eye protective goggles (required during photon therapy). The device cannot be used while being charged for safety reasons. The Silk’n FaceFX Anti-aging device is handheld and combines red light therapy and deep thermal heating to stimulate the production of college and long-term radiant skin. This anti-aging device is the answer to having your very own mini spa in the comfort of your home. Silk’n FaceFX diminishes the appearance of wrinkles, brightens skin for a fresher, younger appearance, and improves skin texture. This innovative devices uses a 645nm red light emitting diode that is uses HF (Home Fractional) technology to penetrate the skin. HF uses a combination of red light and dermal heating to give the skin youthful and smoother appearance. After your first month of using FaceFX 3 times a week for 5-7 minutes on each treatment area, your dermal levels increase and your collagen is revamped to give your skin a glowing look. Once desired results are achieved, it is recommended you should use Silk’n FaceFX around once a week. If you are a skeptic, this device is clinically tested and recommended by dermatologists, it is safe and easy to you, and the device is FDA cleared for home use. Also, FaceFX has a built in sensor that prevents the device from reaching a temperature 106 degrees Fahrenheit. While this device may be the most expensive on our list, it’s priced a pretty penny for a reason! Baby Quasar was one of the first create this professional strength skin care device for your use at home. Baby Quasar Plus device uses multiple wavelengths (red, amber and infrared) to stimulate your skin and is one of the most powerful devices for home use. By doing so, it smooths away fine lines and wrinkles, helps prevent future wrinkles, and generates collagen. This gentle and pain free treatment is fast, easy, and helps all skin types. You can use this device with other topical products and it is recommended to use this device 3-5 times per week, or as needed. At only 6.5 inches tall, this device is sized for portability making it easy to use anytime, anywhere. Included with the Baby Quasar Plus skincare therapy device is goggles, a charger, and a sleek case for protection. The Baby Quasar Plus device is FDA cleared, dermatologist recommended, made of durable medical grade anodized aluminum, made in the USA, and comes with a lifetime warranty! The name says it all. LightStim is for just what you thought, wrinkles. Made to reduce your wrinkles, pores, and fine lines, this is a device that does just that! Treat your forehead, crow’s feet, cheeks, jawline, and even your lips. The LightStim for Wrinkles device works to give your skin the nourishment it needs for a more radiant and youthful glow. LightStim device is composed of 72 led and a multi wave patented and non-invasive technology. For best results, use daily. Once you have achieved desired results, use 2-3 times weekly. Lightstim therapy devices have been used and recommended by medical spas, estheticians, and dermatologists. Now lucky for you, you can grab hold of the same professional strength treatment in the convenience of your home. No need for big bulky, scary machines. This device fits in the palm of your hand and includes a photo serum, protective goggles, and a beauty bag. Here are some before and after pictures so that you can set your expectations! You will have to consistently follow the recommended treatment daily for at least 8 to 12 weeks to see noticeable results. You can even take your before and after pictures to see the difference red light therapy makes to your skin’s texture and appearance. Always consult your physician especially if you are pregnant, have any known skin or eye medical conditions and if you are taking any medications. Size- For obvious reasons, the device you pick needs to be compatible and sized to fit you correctly. Whether you want to use it on-the-go or just in your home, there are many sizes to choose from when picking a red light therapy device. 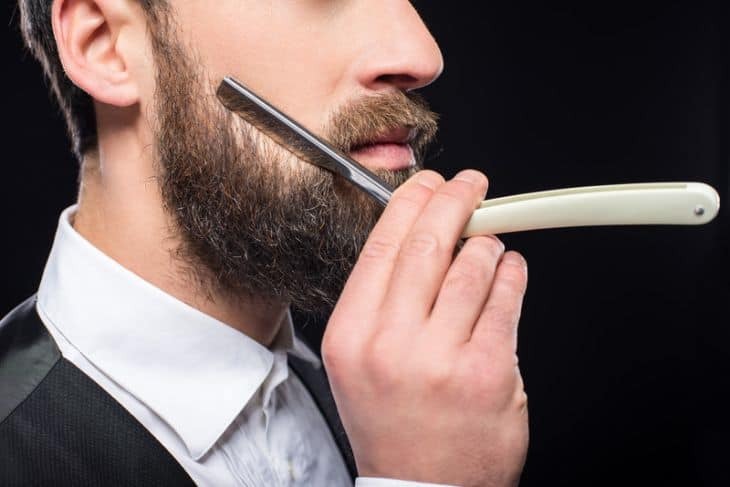 Safety features- Since this is something you will use on your face and body, this may be the most crucial factor in picking the perfect device for you. Has it been previously tested and reviewed positively? Is it FDA approved for home use? Will it turn off automatically if you forget to turn it off? Targeted Area/Use- Consider how your red light therapy fits into your life. Maybe you need to purchase a device targeting wrinkles or maybe you want a device that offers some pain therapy. Or, perhaps you want a red light therapy device that features all! Read the description on each before you purchase, some may offer only one feature or may not be able to be used for what you intend. Time- How much time is needed for each therapy session? The FaceFX device only requires 5-7 minutes of therapy, while the Norlanya device recommends 10-20 minutes daily. What device is going to be the most time efficient for you? Each of the red light therapy devices above are great for all ladies, whether you’re new to red light therapy or pretty familiar with these devices, and each has their own benefits and uses for your skin. Though they’re all great (which is why they made our list), there is a clear winner when it comes to buying a red light therapy device to suit your skin and beauty needs. Our choice for the best red light therapy device is… Trophy Skin RejuvaliteMD. This awesome tool offers the best bang for your buck (it is averagely priced on our list), not only smooths out wrinkles and rebuilds collagen for a younger looking face, it minimizes pores, smooths the texture of your skin, eases under eye puffiness (heck yes), and restores that radiant glow of yours.